The Graduate Programs in Human Resource Management follow the School of Business graduate program fees, which are $975 per credit for 2019-20. The approximate cost of the MS in Human Resources Management degree in the 2019-20 academic year is $32,175 not including course materials. IMPORTANT: All fee bills are sent directly to your UConn email address electronically at the end of each registration day. The invoice due date will be included on your electronic fee bill. You will not receive a paper bill in the mail. A late fee of $150.00 (maximum of two installments, totaling $300.00 per term) is charged for payments received after the invoice due date. If you have questions about your fee invoice, please contact the Office of the Bursar. The HRM program office cannot waive or adjust student fee bills. For Financial Aid information for graduate students, please contact our Office of Student Financial Aid Services. Students may be eligible for veteran’s tuition assistance, corporate, or educational reimbursement. Veteran tuition waivers may not be applicable in Summer Session; check with your sponsoring agency or organization for additional details. Check with your employer about tuition reimbursement. We can arrange to bill your employer or sponsor directly for your program fees – for more information please contact Jessica Baker at HRM@business.uconn.edu. Scholarship opportunities are being offered by the Society for Human Resource Management (SHRM). The SHRM Foundation will award a total of $100,000 in scholarships to national SHRM members pursuing a degree in Human Resources. 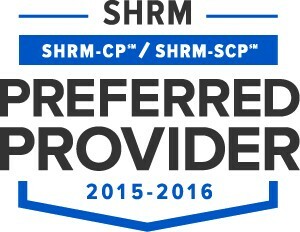 For more information, please visit the SHRM website at http://www.shrm.org. A variety of benefits including tuition waivers, assistance, and allowances are available for veterans and some dependents of veterans, depending on your service details. For information regarding veteran’s benefits for graduate students, visit veterans.uconn.edu.